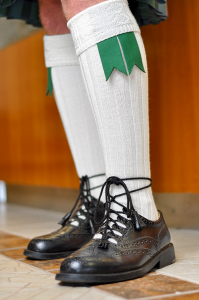 This combination of off-white hose and green flashes is generally worn with our Flower of Scotland tartan. 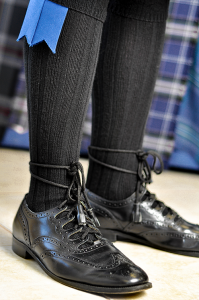 This combination of black hose and blue flashes goes great with our blue Kingdom of Scotland and Edgewater tartans. 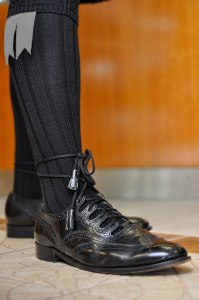 This combination of black hose and grey flashes is an excellent combination paired with our Lionheart tartan.